What people are becoming increasingly aware of is that it’s just as important to make sure that what we surround ourselves with daily in other areas of our life is organic as well. Case in point: cotton. We come into contact with this material on a daily basis, be it clothing, various stuffed animals, blankets, sheets, tablecloths, furniture, mattresses, and towels, to name more than a few. Because its cotton we assume it’s safe, as it’s easy to take the fabric for granted, knowing it’s soft, natural and breathable. The truth is though, that if not organic, cotton is one of the most heavily treated fabrics out there. “Conventionally grown cotton uses more insecticides than any other crop in the world. It is estimated that each year cotton producers use as much as 25 percent of the world’s insecticides and more than 10 percent of the world’s pesticides; an incredible amount for one just one crop”(Dietz, Huff Post Green). These chemicals pollute our air and water supply, and have a grave effect on those working with or living around the areas where cotton is being grown and treated. Across all agricultural sectors, an estimated 1 to 5 million cases of pesticide poisoning occur every year, resulting in 20,000 reported deaths among agricultural workers and at least 1 million requiring hospitalization (The True Costs of Pesticides). Among the many documented cases, in one year in one spot alone (Alabama 1995), “240,000 fish died Shortly after farmers had applied pesticides containing endosulfan and methyl parathion to cotton fields and heavy rains washed them into the water”(Pesticide Action Network). By choosing organic cotton, you are choosing a material that is safer for the earth and for you. 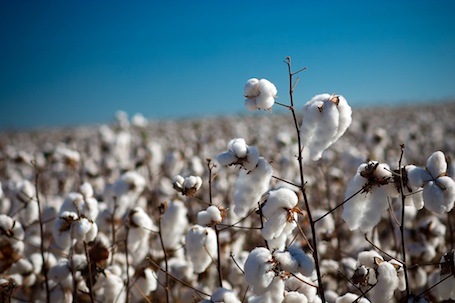 These days, untreated cotton is becoming more readily available in the realms of many industries, including clothing and bedding, but in others, like mattresses, it’s still hard to find. Because cotton is so much a part of our lives, going organic may seem daunting at first, but it’s really quite simple. Start one item at a time. As something needs replacing, search and buy organic. The more the demand, the more organic cotton will be used, limiting the conventionally processed cotton and thus, the hazards that come with it. By demanding organic cotton, we are demanding health and safety for ourselves, for our communities, and for our earth. We care about both the people working with our beds and the people sleeping on them; we use only organic cotton on our mattresses and we sell beautiful, soft organic cotton sheets to go with them. It’s a great place to start!